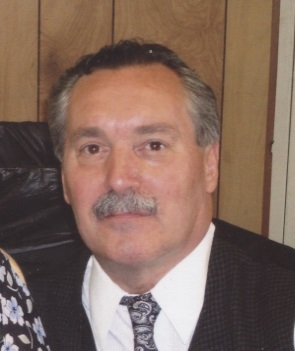 Lawrence A. Dion, Jr., 69, of Franklin, died at his home on March 22, 2019. He was born in Franklin on Nov. 18, 1949 the son of Lawrence “Joe” A. Dion, Sr. and Beth (Carbonneau) Dion. A lifelong resident of Franklin, he was a graduate of Franklin High School. Larry previously worked at Oak Laminates but was a self-employed painting contractor for many years. He enjoyed the outdoors especially snowmobiling, hunting and fishing. Larry also was a NASCAR fan. He was proud of his children and grandchildren. Family members include his 3 children: Nicole Dion of Concord, Angela Thompson of Tampa, FL, and Jeremy Dion and wife Aimee of Dover, 2 grandchildren, Lance Lawrence Dion and Joshua Jeremy Dion, a sister, Ann Towne and husband Larry of New Hampton, 2 brothers: David Dion and wife Dolly of Franklin, and Joe Dion also of Franklin, and nieces and nephews. A celebration of Larry’s life will be held at Franklin Elks Lodge #1280, 125 South Main St., Franklin on Sunday, March 31st from 2-5 pm. Donations in memory of Larry may be made to: NH Easter Seals (eastersealsnh.org), 555 Auburn St., Manchester, NH 03103.